Current regulations require that the federal government only do business with responsible businesses, but as the BP oil catastrophe illustrates, existing policies and procedures are woefully inadequate. As a result, BP PLC, which has a long record of breaking environmental, safety, fraud, and antitrust laws, was allowed to sign new lease agreements and get billions of dollars in new contracts. This puts workers, the environment, and taxpayers in harm’s way. The “high-road” contracting proposal supported by the Center for American Progress Action Fund would ensure that the government has the power and information it needs to avoid doing business with irresponsible companies in order to prevent tragedies like the BP oil gusher from happening again. A 2005 explosion at a BP refinery in Texas City, Texas killed 15 workers. BP’s negligence and continuing failure to remedy safety violations at its refinery resulted in it receiving the two largest total penalties in the history of the Occupational Safety and Health Administration ($87 million in 2009 and $21 million in 2005). 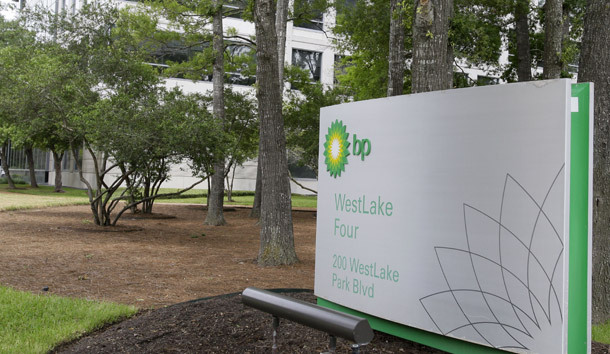 BP also agreed to plead guilty to a one-count felony violation of the Clean Air Act, requiring the company to pay a criminal fine of $50 million and serve three years of probation. A hole in BP’s Prudhoe Bay pipeline caused the largest ever oil spill on Alaska’s North Slope—200,000 gallons—in 2006, resulting in the temporary disruption of oil supplies to the United States. Investigators found that BP ignored warnings about corrosion in its pipelines and cut back on precautionary measures to save money. BP agreed to plead guilty to a violation of the Clean Water Act and paid $20 million in criminal fines, community service payments, and criminal restitution. Four years earlier, BP paid $150,000 in fines and penalties to Alaska’s Department of Environmental Conservation for delays in installing leak detection systems for the Prudhoe Bay crude oil transmission lines. BP agreed to defer prosecution in 2007 for a one-count criminal information, which charged the company with conspiring to violate the Commodity Exchange Act and to commit mail fraud and wire fraud after traders for the company conspired to manipulate and corner the market for one type of propane. BP paid $303 million as part of the agreement, including $100 million in criminal penalties. Despite its failures to comply with the law, BP has continued to receive lucrative government leases and contracts. Since fiscal year 2008—after the Texas City refinery deaths, the Prudhoe Bay spill, and BP’s settlement (on October 25, 2007) for mail and wire fraud charges—the company received the Deepwater Horizon lease and $4.3 billion in new government contracts. The company extracted $16 billion worth of oil and gas from its U.S. facilities in 2009 alone. The current process for ensuring that the government only does business with responsible companies has been a failure for several reasons. Debarment—the process by which the government bans irresponsible firms from doing business with it—is rarely used, is too slow a process, and occurs after the fact. And responsibility review—the government’s tool to pre-screen every company’s legal record on a case-by-case basis before it does business with it—is weak and inadequate. An enhanced responsibility review based on thorough information and rigorous analysis—as called for in the high-road contracting proposal—would address the key failings of the current process and help avoid incidents like the BP oil catastrophe along the Gulf Coast. Why won’t debarment solve the problem? While debarment is an important tool, the suspension and debarment process is seriously flawed. BP received the Deepwater Horizon lease in 2008 despite being subject to a limited form of debarment: After being convicted for a violation of the Clean Water Act for the Prudhoe Bay, Alaska oil spill, BP faced a “statutory debarment” that affected only the location where this violation occurred but not any of BP’s other locations. BP settled a statutory debarment case in 2000 and received another statutory debarment in 2009 for the Texas City refinery explosion. Only a handful of large contractors have been suspended since the 1990s: General Electric (for a period of five days); now defunct companies Worldcom, Enron, and Arthur Anderson; Boeing (which received multiple waivers to receive new contracts during its suspension); and IBM (for a period of eight days in 2008), according to the Project on Government Oversight. Debarment officials may only impose debarment to “protect the Government’s interest,” not as a punishment. In weighing the risks of future business with companies such as BP against the value of future business with the megacontractor, officials will consider whether “the medicine is worse than the disease,” says Robert Meunier, former chair of the President’s Interagency Committee on Debarment and Suspension. Even if the government actually goes through with debarment, the process is quite slow and BP could still continue to do business with the government. One agency review found that it takes 300 days to reach a suspension decision and more than 400 days to decide a debarment case on average, even though agency guidelines set a 45-day deadline for making such determinations. Moreover, debarred companies may continue to receive federal contracts and offshore leases if the agency head determines that there is a “compelling reason” to do so. Fixing the suspension and debarment process would help prevent the government from continuing to do business with companies that persistently violate the law. But the hurdles to effectively using the process are so high that additional tools, such as enhanced responsibility screening, are needed. What is wrong with the existing responsibility review? The guidelines for determining whether a company bidding for a federal contract has “a satisfactory record of integrity and business ethics,” are unclear. While President Bill Clinton’s “contractor responsibility rule” would have clarified that companies should be prevented from receiving contracts for “repeated, pervasive, or significant violations of the law,” the rule was never implemented. As one of his first acts as president, George W. Bush put the rule on hold and then revoked it 11 months later. Yet even if clearer guidelines existed, the current responsibility process would still be deeply flawed. Similarly, the MMS requirement that leases be awarded only to qualified bidders that have an acceptable “operating performance” lacks clear standards. In determining if a company’s operating performance is unacceptable, MMS is supposed to consider accidents, pollution events and environmental damages, incidents of noncompliance, civil penalties, failure to adhere to lease obligations, and any other relevant factors. But the regulations contain no guidance on how to evaluate these factors. According to MMS, only one company in recent history has been disqualified from bidding on an offshore oil lease. The availability of information to perform the responsibility review is improving—thanks to a new contractor responsibility database—but the database excludes key information such as violations of labor and employment law and information on recipients’ private sector compliance history. Instead, the new database only includes the legal violations committed by a company while working on federal contracts or grants. This means that contracting officers may miss more than half the story about a company’s record of compliance. While information is important, it needs to be properly analyzed in order to be used effectively. Although contracting officers are required to review the records contained in the new database before making responsibility decisions, the process will not provide meaningful analysis of legal violations. Without sufficient analysis of past legal violations, contracting officers will be forced to undertake the difficult and inefficient process of sifting through millions of legal records and making decisions about whether past violations are enough to find a contractor not responsible. How would the high-road contracting proposal’s enhanced responsibility review prevent future accidents? The high-road contracting proposal would provide for a strong responsibility review and pre-screen companies based on their overall regulatory record, including the company’s compliance with workplace, environmental, and tax laws. By making legal compliance information and guidance available to contracting officials whenever award of a contract or lease is under consideration, all companies will be required to demonstrate they are fit to do business with the government—not just the tiny number who are presently singled out for debarment and suspension proceedings. This system would weed out bad actors and help prevent accidents like the Deepwater Horizon tragedy. Note that the high-road proposal not only helps set a floor, but also contains a second prong that attempts to raise standards by providing incentives. BP’s gushing oil catastrophe in the Gulf of Mexico is proof positive that our nation needs to enact the high-road contracting proposal and get the program up and running as soon as possible. Our current federal contracting process leaves the government blindfolded when it comes to selecting responsible contractors. We simply cannot risk another breakdown of the federal contracting system. David Madland is Director of the American Worker Project at the Center for American Progress. Karla Walter is a senior policy analyst at the Center. Go to the American Worker Project at the Center for American Progress Action Fund to read more about these policy recommendations and analysis.